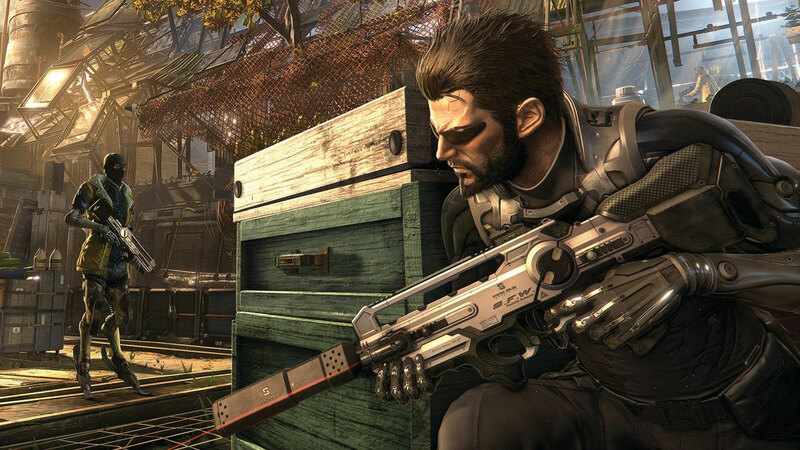 Adam Jensen’s return is bloody good stuff – I just wish it were a more complete story. Often when writing a review of a game it’s difficult to wrap up concisely. It’s a rare game that allows you to be truly succinct about what you want to say, but Deus Ex: Mankind Divided is one of them. So let’s start at the finish. Ready? 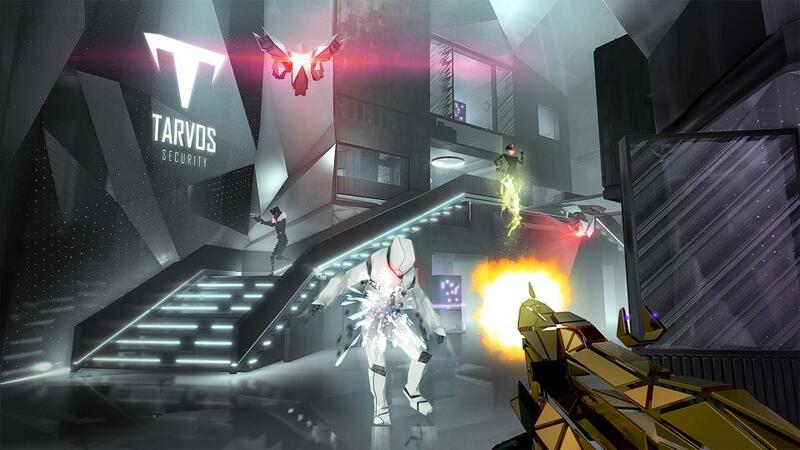 So… how much do you like Deus Ex: Human Revolution? Mankind Divided is more of that – better in most ways and not quite as good in a few others. I always think it’s something of a cop-out to say ‘fans of the genre will enjoy…’ or ‘if you liked this other game…’ but it’s rarely more true or appropriate than it is here. Eidos Montreal clearly thought Human Revolution worked out for them and so they’ve stuck with that formula. It’s hard to fault that – the previous game was one of my favourites of the last generation. 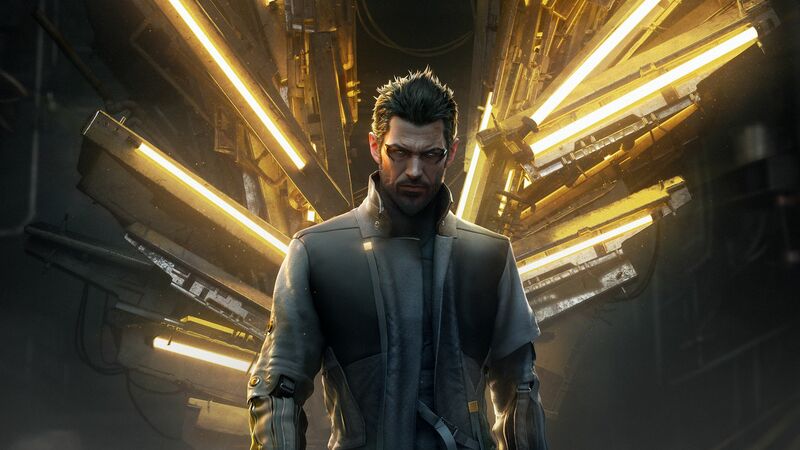 The game once again puts you into the role of Adam Jensen in the not-so far flung future of 2029. 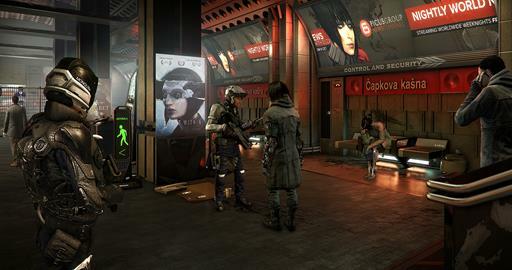 During the opening of the previous game Adam was ‘augmented’ after being seriously wounded. This basically means he has hugely complex metal arms and legs and the like, but also lots of other upgrades that significantly improve his abilities. Adam has all the skills one might expect for a protagonist in a dystopian sci-fi romp. He’s good with computers and can hack with the best of them, but is also an ex-cop with a deep sense of justice and a nose for digging into conspiracies and other bad situations. 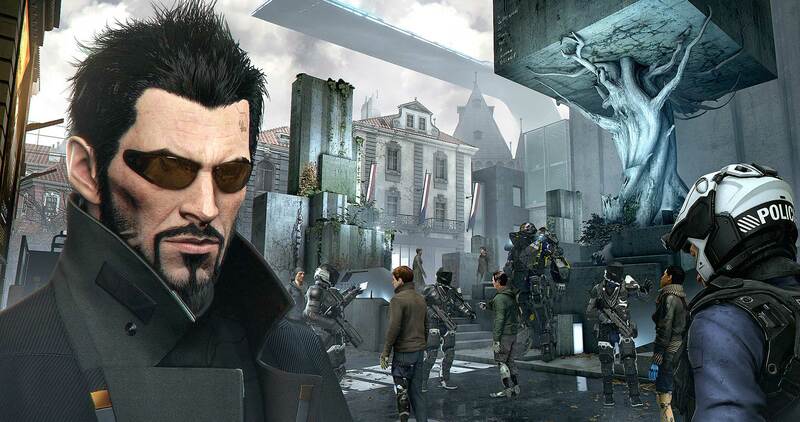 In Mankind Divided he’s working out of Prague for an arm of Interpol, though all isn’t well in Prague or indeed the world at large. Despite Adam’s best efforts, the events of the previous game saw augmented people do some pretty terrible stuff against their will that in turn left them demonized as second-class citizens. You walk through Prague and signs of this are everywhere: train carriages are divided into aug and human carriages, and the augmented are often homeless and being harassed by police. Pro-augmented movements have sprung up, and even in his own military police department Adam is alone in being augmented and because of it seems distrusted by his colleagues. Ultimately this is one of the places the story stumbles. It seems like the game wants to make a statement but struggles to figure out exactly what it is it’s trying to say other than that, obviously, racism is bad. Many of you will have seen the kerfuffle over the use of the slogan ‘Aug Lives Matter’ in some official artwork or the phrase ‘Mechanical Apartheid’ used in marketing – the game isn’t quite as heavy-handed as this, but still struggles to do anything of import with its frankly fascinating themes. There’s some lovely touches throughout the game to drive home these ideas, but perhaps Adam isn’t the right character to explore them. If you get on the human part of the Prague metro (which functionally is fast travel) on the other end a cop will harass you for using it. But Adam is a super-special dude with papers from Interpol, so he isn’t really impacted – he and the player just have to deal with a slightly irate cop for 30 seconds. There’s no real consequence felt on the player’s side. Things happen around Jensen or in his eyeline, but never to him. Players never get a chance to feel the injustice, and so they never really feel it. Adam, an aug, happily jogs around with a gun out and nobody says a thing. What happened to aug oppression? Some NPCs might refuse to talk to you until you put the gun away. That’s about it. In some areas of the game – in particular a mission string set in an aug ghetto – there’s excellent work done to show how bad things are beyond Adam’s perspective. You remain locked to his point of view though, and Adam is powerful and has a status most do not. He’s protected. As such, it just doesn’t quite work. With that said, the game’s world is incredibly well built. There’s a slightly reduced focus this time: where Human Revolution had two city hubs and then various mission-specific zones, Mankind Divided sticks to one hub but significantly changes it over the course of the game as the political situation escalates. The hub city of Prague is an excellent piece of level design, packed with environmental storytelling and while still large clearly more focused on density. I lost hours breaking into various non story-critical buildings in search of loot or just gossip in the emails sections of hacked computers. Some have complained that Prague alone makes the game less visually and culturally broad, but I love the world design. It’s my main reason for wanting to replay the game. This all provides a backdrop for a story that’s really about the Illuminati and conspiracy theorists. This stuff is pulpy and well-written. It knows what it is. I loved this continuation of the groundwork laid in the previous game, but I do wish it went on further. After 25 hours with the game it threw up a ‘You have unlocked New Game+ message’ at the end of what I thought was actually the second act. It wasn’t. The story finally seems to be getting a head of speed and then stops. It smacks of those Harry Potter and Matrix movie sequels that were sliced in two, and I wonder if at some point Mankind Divided was a longer game that became multiple games. The final level has some great stuff including my favourite stealth/non-lethal challenge I’ve had in the series to date and 25 hours is a significant chunk of game and a solid length, yet I was still left unsatisfied by how the narrative concluded. A final sign-off via an in-game TV is a nice touch and cleverly says something of the controlled news media in Deus Ex’s world, but not even that or a teasing post-credits scene could quite help my feeling of dissatisfaction. Or, to be crass, it caused narrative blue balls. What makes up for that is the game. Before some of the story issues truly sunk in and before I’d seen its flat ending I mused to colleagues about how if I was doing a score I’d be tempted to slap a 10 on it. Obviously things changed as I got deeper into the game, but mechanically this still feels like a 10. It’s excellent. Deus Ex is all about choice, and at the core of the game is the choice of how you play Adam: Stealthy or loud, lethal or non-lethal. Numerous skills in a pretty standard RPG style skill grid will drive him towards being more suited to one path or the other and EXP is generously rewarded no matter how you want to play. Work has clearly been done to make the weapon handling feel more akin to a full-blown shooter, and there’s some great interface work for mid-combat switching ammo types and weapon attachments. The game feels better to play as an action game though for obvious reasons still not identical to one – stealth is still king. Stealth is where my heart is. Deus Ex really comes alive for me when I’m sneaking past guards, crawling through air vents and sabotaging security systems in order to sneak into places undetected. My build was driven by stealth and hacking, a total expert in both fields. Careful management of resources like ammo and even battery power for augments remains a constant concern. There’s some rudimentary crafting, loot just about everywhere, weapon modification systems and upgrades… Or basically, there’s everything you’d expect from an action RPG. It’s easy to role play a very different type of Adam Jensen, though this often comes more through the gameplay than the story. While there are major story branches and dialogue choices, the bigger choices are always about how you’re going to upgrade yourself and how you’re going to approach a given situation. There’s always myriad options at your disposal depending on your available skills and where you are in an area. It rarely feels claustrophobic. If you enjoy the combat or stealth a lot there’s also Breach mode, challenge rooms that put you into various significantly different combat and sneaking scenarios. All of this takes place ‘inside the computer’ and has a Tron-like look to it that I find to be sterile and actually a lot less interesting than the main game, but adding these challenges feels like a nice extra bonus and the leaderboard component gives a competitive style to a single-player game. This is better than some half-baked competitive multiplayer, and the challenge missions are actually great if you fancy a 10-minute slice of Deus Ex. It even has exclusive augmentations not seen in the main game. One does wonder if this was added (and developed by a separate team) to make up for the fact that Eidos knew this game would have a reduced scope than its predecessor, but it ultimately doesn’t matter: it’s a fun addition. The final playable menu option is Jensen’s Stories. These appear to be smaller missions that have been cut out from the main game to be stand-alone events. As far as I can tell a lot of the DLC will be delivered this way, but that’s one out at launch. These little side missions are great for the same reasons the core gameplay loop of Mankind Divided is great, but I’m a little perplexed as to why they’re not just part of the game proper. It strikes me as the sort of thing that a later Definitive Edition might fold into the main narrative, just as with the previous title’s DLC. 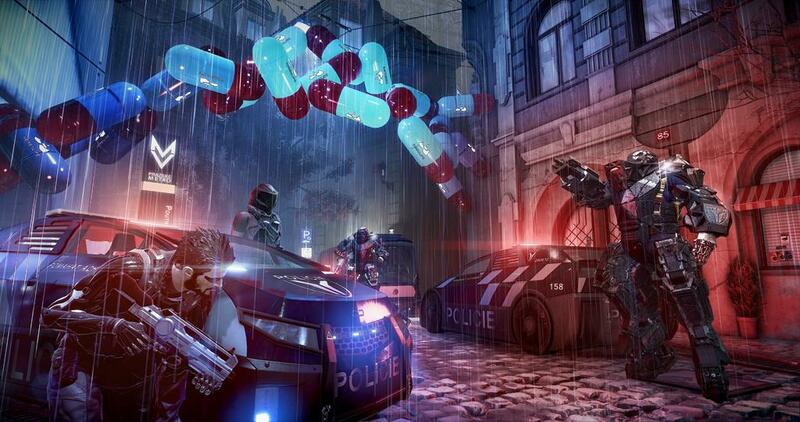 So, how much did you like Deus Ex: Human Revolution? I’d have described it as a must-play game last generation, its semi-open RPG trappings blending perfectly with the stealth gameplay for a near-perfect series reboot. This is more of that. That’s no bad thing. I loved my time with Deus Ex: Mankind Divided and I fully intend to go back for more. Sure enough I wish it felt like more of a complete story or managed to use its more explosive social themes more effectively, but when you’re in the thick of it crawling through an air-vent like a sci-fi John McClane about to drop some serious but silent pain on an unsuspecting guard… it feels so good that the game’s shortcomings melt away.